For my Analysis of Organizational Rhetoric paper, I will analyze women’s health organization and reproductive rights advocacy group Planned Parenthood. 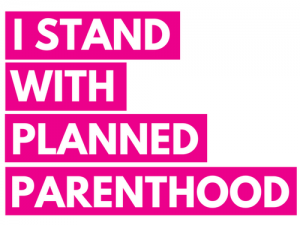 Planned Parenthood provides sexual health services for men and women in the United States and globally. Most notably, they receive frequent criticism for providing abortion services to women who wish to terminate their pregnancies. I wish to write on this organization because its mission is threatened by the current Republican administration, which likely changes the delivery and content of their rhetoric. Audiences of this organization’s rhetoric include prospective and existing clients of Planned Parenthood, pro-choice individuals who are concerned with the anti-choice political climate often present in contemporary society, and those interested in the study of how organizations use rhetoric to convey messages and ideas. Understanding the rhetoric produced by Planned Parenthood benefits scholars because the organization’s mission is a highly-debated topic in modern politics. I wish to study how their messages change depending upon the administration in power and how they use rhetoric to cope with criticism from anti-choice protesters. Preliminary observations about the organization’s messages include emphases on self-education about various sexual health topics, the importance of reproductive freedom, the Trump administration as the enemy of reproductive healthcare, and accessibility of the organization’s services to a wide variety of people.